Don your lab coat, step into The Lab and you'll not only have the chance to win an impressive 46,000 credits, but experience one of the most up-to-date slots on the market today too. While there are some players still yearning for the old school, the most popular slots out there have a sleek, mobile design that makes them all the more compatible for your devices. The Lab certainly falls into this category and that's why we think it's worthy of a spin. With a swirling vortex, sci-fi symbols and betting strategies you won't find anywhere else, it gives even NetEnt's Starburst a run for its money. 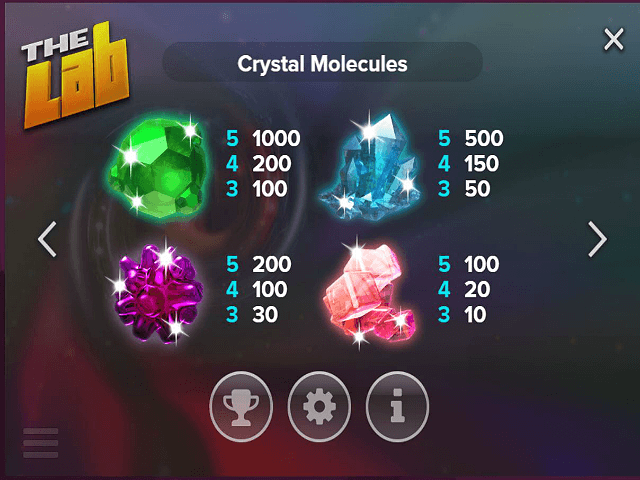 So, if you're ready to experiment with chemical elements and lucrative symbols to bag yourself a cosmic jackpot, join us now as we roll through our The Lab guide. 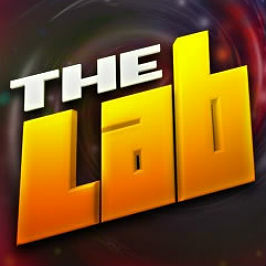 Play The Lab Slot Demo for Free! Play The Lab for Real Money! Software provider Elk Studios has always had a way of making its games look slick and The Lab slot machine is no different. Although it doesn't have an overarching story or a cast of colourful characters like some online slots, it still looks fantastic. The basis of the game is that you're floating through space. Instead of a still background, you'll actually see a swirling vortex through the reels. As well as setting the scene, this animation creates a sense of dynamism and immediacy in the gameplay. Beyond this, you'll notice that there isn't much in the way of peripheral features. When you want to set your bet, click the "bet" button and it brings up a pop-up so you can adjust the settings accordingly. Then you'll find a spin button and not much else. This highly minimalist design certainly helps to make the five reels and 15 paylines stand out and it's also great for newbies as it's not overly complicated. 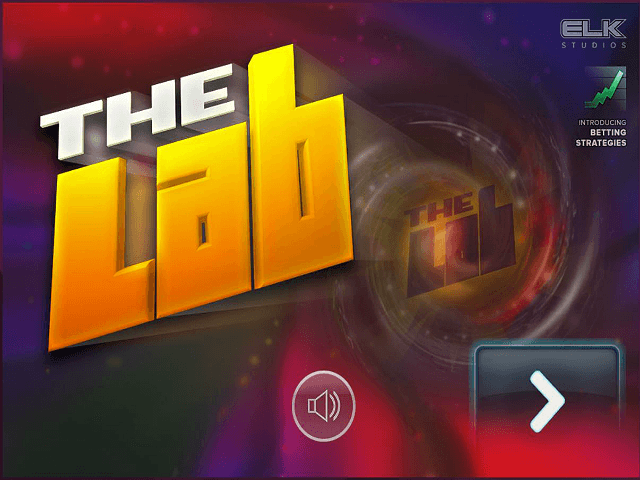 If you enjoy mobile slot gaming on the go, The Lab is perfect. It's fully optimised for both Android and iOS devices, without sacrificing sound quality or graphics. Of course, you can't enjoy the game fully without a knowledge of the basics. 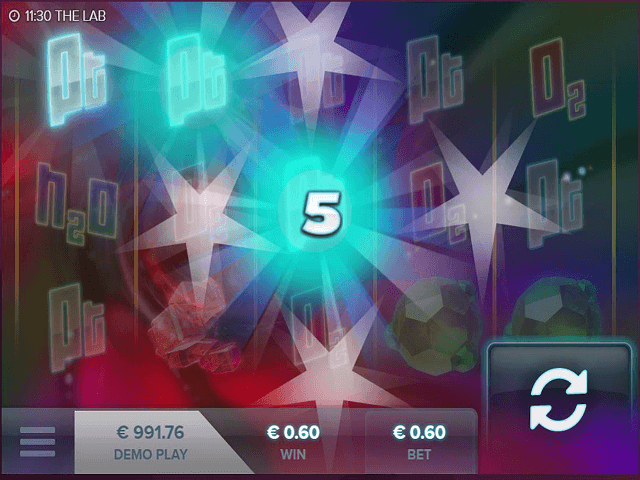 Here's where you can learn how to play The Lab slot game before you ante-up. Leveller = The size of your bet rises by two steps after five consecutive losses and stops after you reach a level equal to 10x your base bet. 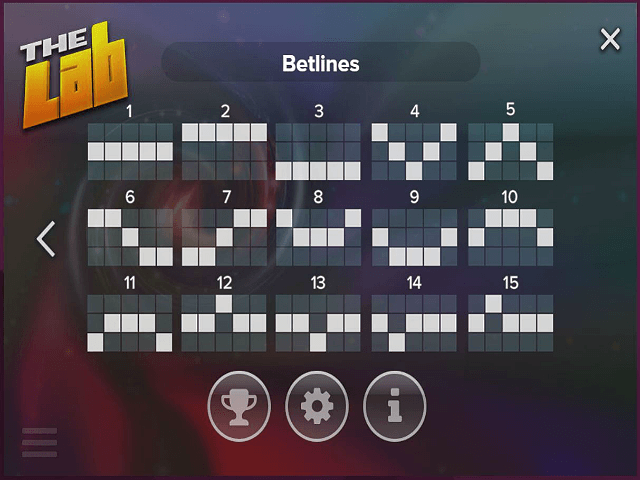 Booster = Your bet will increase by one level after a loss and stop after you reach a level equal to 10x your base bet. Jumper = Bets will increase by one level after every winning round and stop after you reach a level equal to 10x your base bet. Thanks to this special feature and a wealth of multipliers, The Lab online slot is highly lucrative. In fact, when you combine the 1,000x jackpot with wilds, free spins and bonus rounds, this game can pay out a whopping 46,000 credits. This, on top of a smart design, is reason enough to experiment with The Lab. Share this The Lab Review today! If you like The Lab, you'll love these slot titles too!